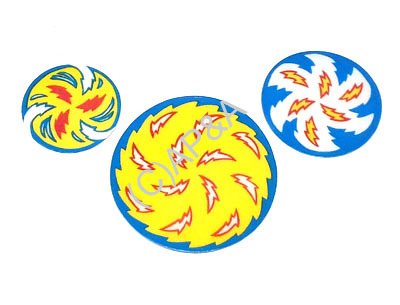 3-piece set of round spinner disc decals for Williams Whirlwind. Textured finish over artwork with self-adhesive backing. New reproduction parts.